Ten (10) Gloucester Railway Carriage & Wagon Co Ltd class 128 single car parcel vans (Nos.55987 to 55996) were built for British Railways from 1960. The first four were of a slightly different design and were withdrawn from service early. The remaining six were fitted with gangways but these were later removed together with the headcode panels fitted below the front windows. The class 128s often operated with a non-powered parcels van. 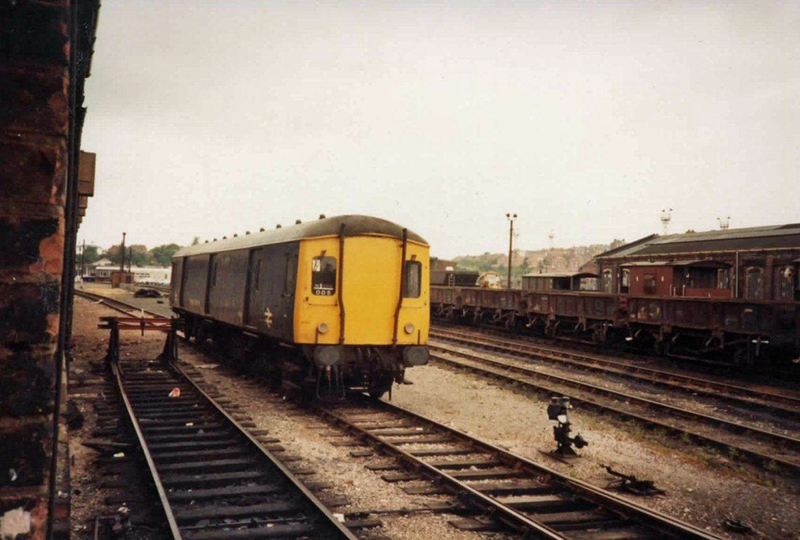 In 1985 an unidentified No.005 (one of Nos.55991 to 55996 - but not Nos.55993 and 55994 which were in a different livery) class 128 motor parcels van was in the yards behind Worcester Shrub Hill Station. Photograph taken by Richard Atkinson.